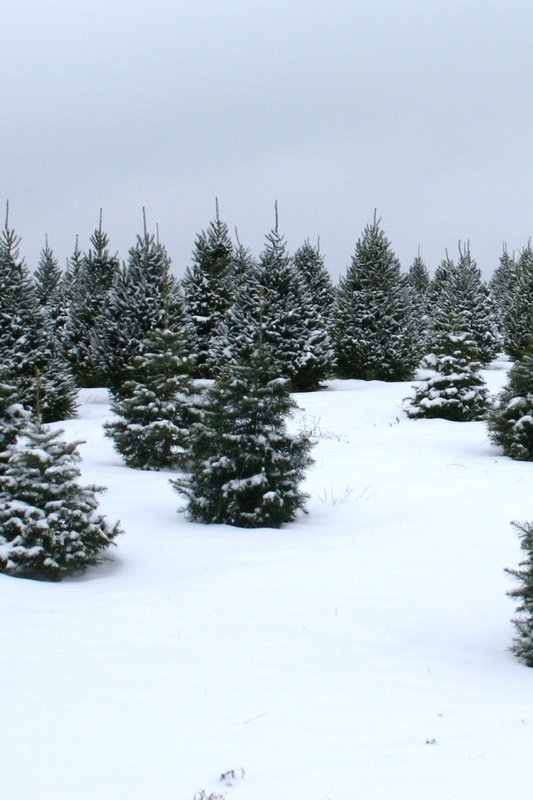 When a Christmas tree is cut, over half of its weight is water. With proper care, you can maintain the quality of your displayed trees. 1. Displaying tees in water in a traditional reservoir type stand is the most effective way of maintaining their freshmess and minimizing needle loss problems. 2. Make a fresh cut to remove about 1/2 inch thick disk of wood from the base of the trunk before putting it in the stand. Make the cut perpendicular to the stem axis. 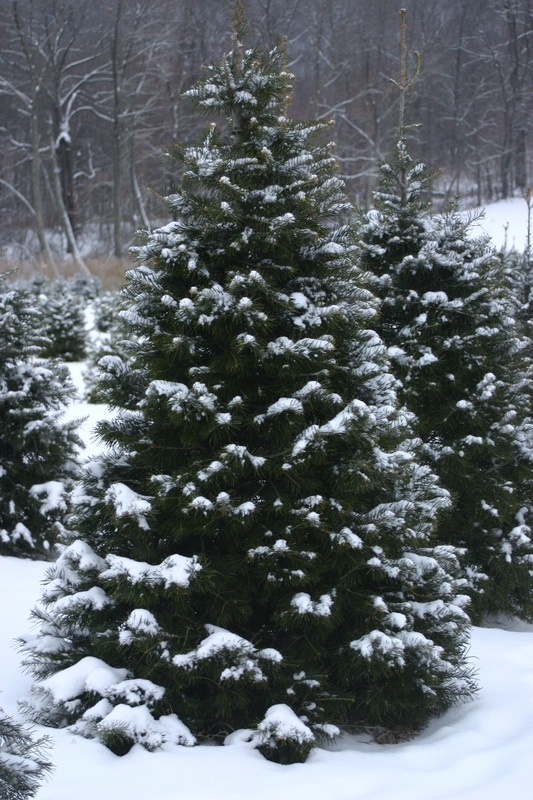 Don't cut the trunk at an angle, or into a v-shape, which makes it far more difficult to hold the tree in the stand and also reduces the amount of water available to the tree. 3. Once home, place the tree in water as soon as possible. Most species can go 6 - 8 hours after cutting the trunk and still take up water. Don't bruise the cut surface or get it dirty. 4. If needed, trees can be temporarily stored for several days in a cool location. Keep the trunk in a bucket full of water. 5. To display trees indoors , use a stand with adequate water holding capacity for the tree. As a general rul, stands should provide 1 quart of water per inch of stem diameter. Devices are available that help maintain a constant water level in the stand. 6. Use a stand that fits your tree. Avoid whittling the sides of the trunk down to fit a stand. Outer layers of the wood are most effective for taking up water and should not be removed. 7. Keep displayed trees away from sources of heat ( fireplaces, heaters, heat vents, direct sunlight) Lowering the room temperature will slow the drying process, resulting in less water consumption each day. 8. The temperature of the water to fill the stand is not important and does not affect water uptake. 9. Check the stand daily to make sure that the level of the water does not go below the base of the tree. With many stands , there can still be water in the stand even thought the base of the tree is no longer submerged in water. 14. Always turn off tree lights when leaving the house or going to bed. 15. Go to www.realchristmastrees.org and type in your zip code to find a recycling program near you. 16. Never burn any part of a Christmas Tree in a wood stove or fire place.